Location Location Location! 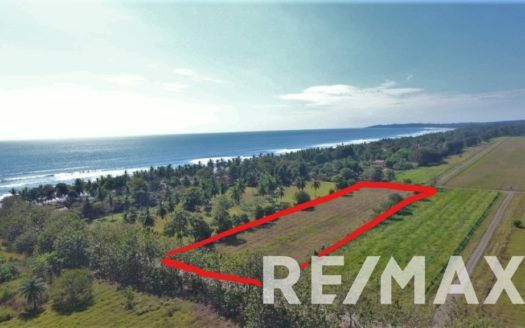 This Titled beach lot is just 170 from the beach and the world class surf of Esterillos Oeste. Zoned for either commercial or residential with almost 19 meters of public road frontage along the main road through Esterillos Oeste. It is 100 meters from the top rated restaurant “Los Almendros” and 150 meters from the Super Sol. Perfect for a home near everything, a vacation rental or business! 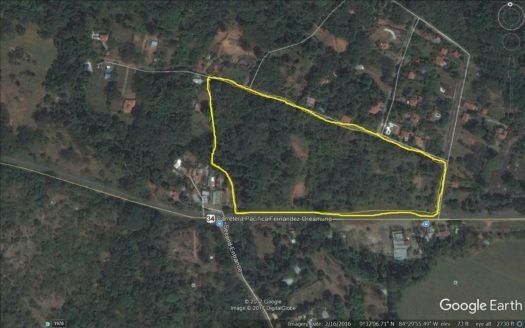 May be purchased with the adjoining lot for a total of $80,000, doubling the size from 285 to 570 meters. NEW!! Panoramic ocean and mountain view two bedroom contemporary ECO friendly house.